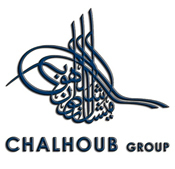 The Chalhoub Group has been the leading partner for luxury across the Middle East since 1955. As an expert in retail, distribution and communication based in Dubai, the Group has become a major player in the beauty, fashion and gift sectors regionally. By blending its Middle East expertise and intimate knowledge of luxury, the Chalhoub Group is building brands in the region, by offering service excellence to all its partners and a unique experience to its customers through its passionate teams. With a growing workforce of more than 12,000 people, implemented in 14 countries, and a network of over 650 retail stores, the Group’s success is attributed to its most valued asset: highly skilled and dedicated teams. Professionalism and passion are what fuels the Chalhoub Group’s competitive edge in today’s market. By demonstrating commitment to sustainable business, the Chalhoub Group was awarded in 2015, for the third consecutive year, the CSR Label from the Dubai Chamber of Commerce and has been accepted in 2014 as a new member of the United Nations Global Compact Community.